UBC Library is pleased to announce that Jeremy Buhler, Phoebe Chow, and Meghan Waitt are the 2016 recipients of UBC Library Recognition Awards. The annual Library Recognition Awards program was developed to acknowledge the many ways in which Library staff contribute to their workplace through creativity, innovation, excellence and customer service. 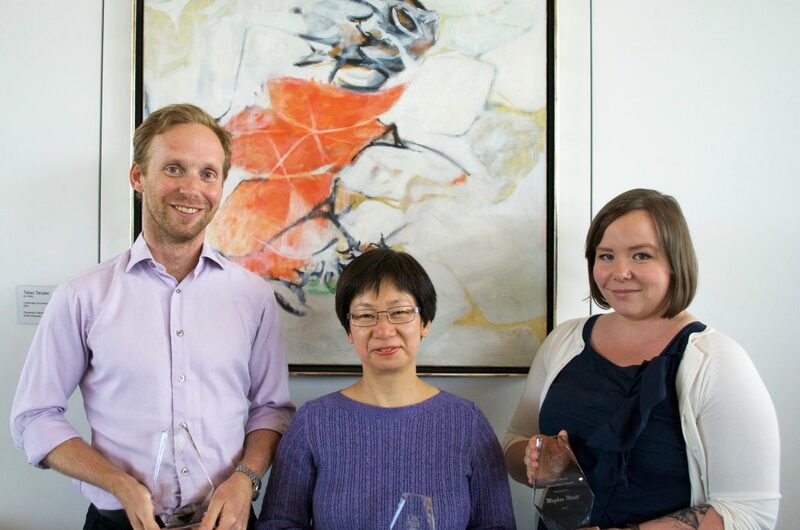 Jeremy Buhler, Phoebe Chow, and Meghan Waitt are recognized for their exemplary contributions to UBC Library. The awards were presented at the annual Library Recognition Luncheon at the Robert H. Lee Alumni Centre on June 15, 2016. Congratulations Jeremy, Phoebe, and Meghan and thank you to their nominators! 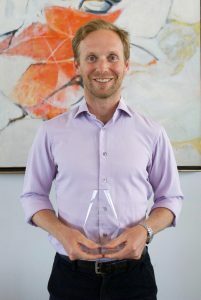 Jeremy Buhler (Assessment Librarian) earned the Employee Excellence Award for his subject matter expertise and the great amount of care and clarity instilled into his work. Widely sought after as a resource and partner on strategic and operational priorities by senior management, working committees, and others outside of the Library, Jeremy has a gift for translating complex information into material that is easily understandable and relatable. All of his nominators emphasized the level of trust he instills in others and the importance of his knowledge to the Library as a whole. “Jeremy is always patient, thoughtful, and clear in his interactions with staff and librarians and he shows compassion and sensitivity to his colleagues, particularly around contentious projects,” says one nominator. Whether diligently working on the 2016 LibQUAL survey or the Library’s Staffing Plan, Jeremy approaches his portfolio with an openness to all opinions and a flexibility to collaborate. With the Library’s shift towards data driven decision-making based on user needs, Jeremy’s leadership and “sage and authoritative guidance” are indispensable assets to the University. 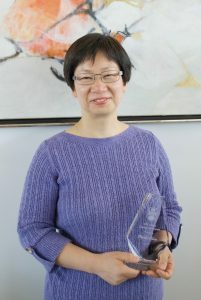 Phoebe Chow (Asian Library, Program Services Assistant) is this year’s Unsung Hero. During her 16 years with the Library, Phoebe’s constant commitment, thoughtfulness, and positive approach toward her work, team, and library patrons reaches beyond the University community. During recent periods of transformation at the Asian Library, Phoebe assumed a supervisory role and growing tasks and duties were met with her characteristic professionalism and enthusiasm. “Phoebe’s presence encourages curiosity and interest in the services and activities provided by the Library and she exemplifies a true Ambassador’s spirit,” says her nominator. Always going the extra mile in contributing to the Asian Library’s community engagement mandate – whether creating visual displays or organizing events – makes Phoebe a critical support for library users. Phoebe’s care and understanding in all of her interactions with staff, students, and community members alike make her an exemplary award recipient. 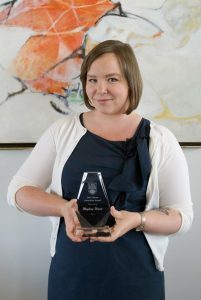 Meghan Waitt (Central Technical Services, Collections Management Coordinator) received the Innovation Award for her skills in combining technical expertise with a strong, practical understanding of library workflows involving both people and technology. Meghan’s inventive problem solving and guidance has been instrumental in monumental library branch moves over the last few years and in the implementation of new software and projects in the Library, including Tableau and the COPPUL Shared Print Archive Network. Coworkers have come to count on Meghan’s creativity and thoroughness, infused into tasks such as producing sophisticated and comprehensive reports and workplans. Additionally, Meghan contributes generously to community strengthening activities at UBC Library, from Exceptional Workplace Committee programs to the annual Great Canadian Shoreline Cleanup. Meghan stands out for the “dazzling” vision she brings to the Library community.